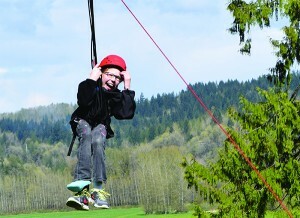 Cassidy soars down the universally accessible zipline. 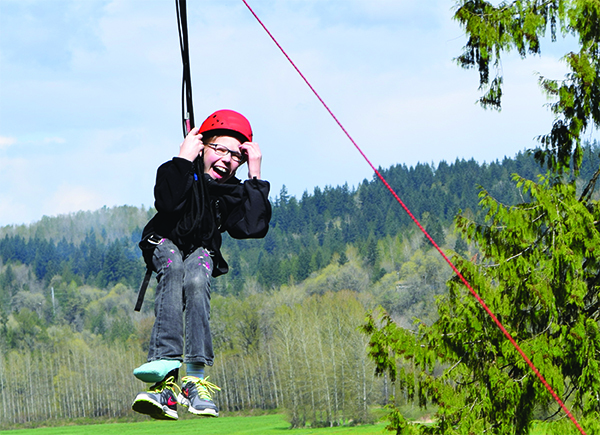 In the 10 years since Camp Korey’s founding, over 15,000 campers and families have participated in the joyful adventures offered by Camp Korey, always free of charge. SeriousFun camps like Camp Korey really are life-changing, as illustrated be the results of the research completed by the SeriousFun Children’s Network and Yale University Child Study Center. The results of the latest Outcomes Evaluation confirm what all the smiles, laughs and stories have been telling us for years — all that SeriousFun makes a difference! Cassidy arrives at camp, 2014. We often hear camp is life-changing; parents tell us that, volunteers and medical staff tell us the same. Most importantly, our campers beam with pride as they tell us about how much camp impacts them. Campers like Cassidy, a five year veteran of Camp Korey. “Camp has changed me because I felt really self-conscious when I got here. I wasn’t really shy, but I was self-conscious and I didn’t know what to do, and was kind of scared of the world around me, so camp has really opened my eyes. I see things differently and see things that are more beautiful,” says Cassidy. Cassidy, age 13, was born with Conradi-Hunermann Syndrome, a rare genetic disorder involving skeletal development. “Camp helps me by showing me that not everyone is the same and that’s okay, because if everyone was the same, then the world wouldn’t be the place it is today,” explains Cassidy. She has participated in a variety of Camp Korey programs, including the residential summer camp programs, family weekends and Camp to You outreach while recovering from surgery at Seattle Children’s. Now Cassidy looks forward to summer camp every year, listing some of her favorite activities as rock climbing, the Silly-O food fight, fishing and boating, but really “I love everything,” she laughs. This includes the food, viewing the unique meal times at camp as a favorite activity. 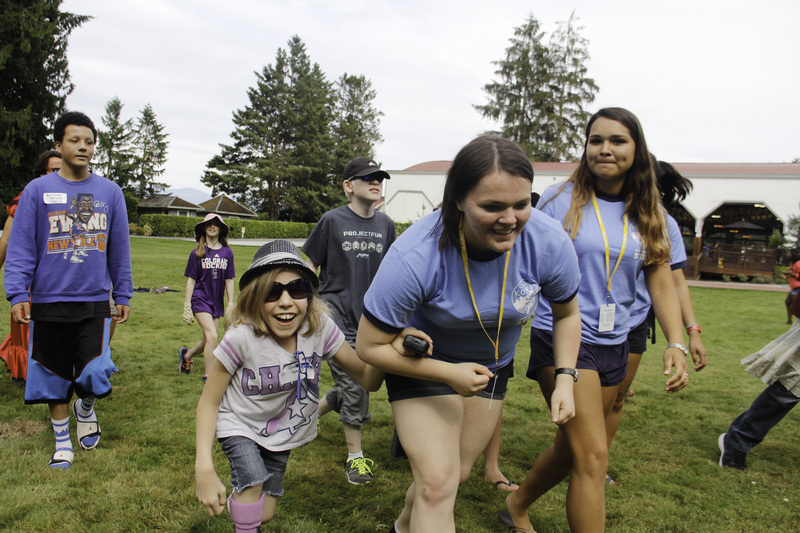 Programs aside, Cassidy feels the best part of camp is the “love, support and strength” that you are given at camp by fellow campers, staff and volunteers. “Camp is different from being at home because if you go out in public people are bound to stare, bound to be rude, and at camp, they don’t see you for your differences, just you for yourself,” explains Cassidy. Cassidy has become a mentor of sorts, with younger campers turning to her for support during their first camp experience. “You break out of your shell a lot more and you find someone within yourself that you didn’t know was there,” says Cassidy. She advises first time campers to always be yourself, because no one is going to judge you. This entry was posted in Camper Spotlight. Bookmark the permalink.